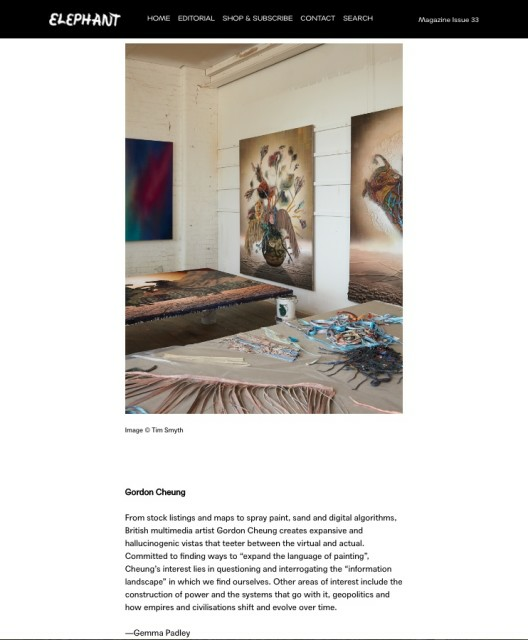 18 December 2017 From stock listings and maps to spray paint, sand and digital algorithms, British multimedia artist Gordon Cheung creates expansive and hallucinogenic vistas that teeter between the virtual and actual. Committed to finding ways to “expand the language of painting”, Cheung’s interest lies in questioning and interrogating the “information landscape” in which we find ourselves. Other areas of interest include the construction of power and the systems that go with it, geopolitics and how empires and civilisations shift and evolve over time.